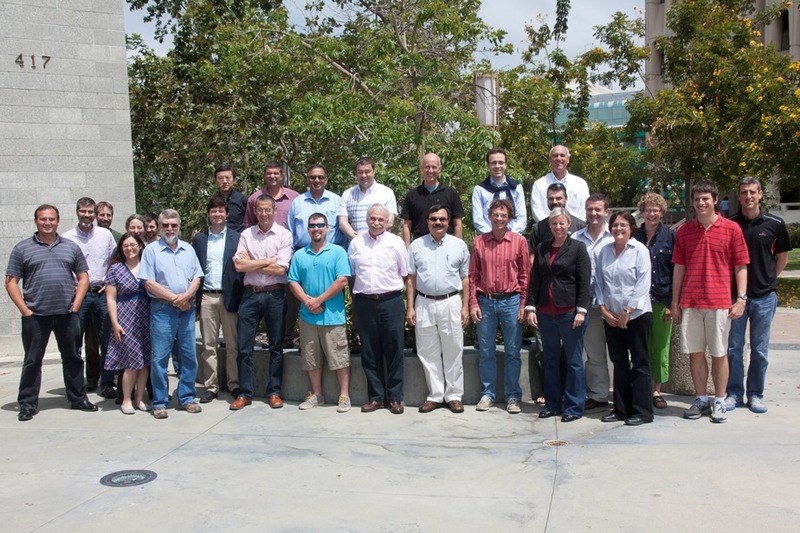 On June 24 and 25, 2014, the IceBridge science team met at the University of California Irvine. 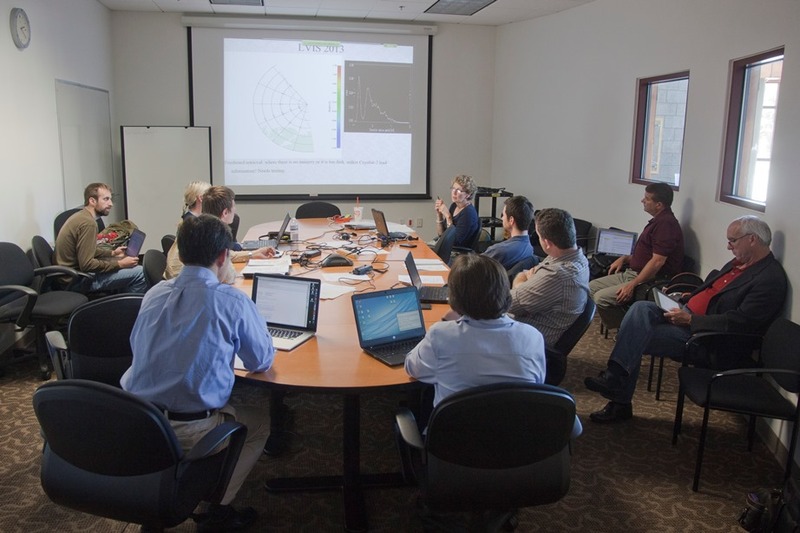 Twice a year, the IceBridge science team meets to share scientific presentations, discuss the mission’s performance and prepare for the next campaign. 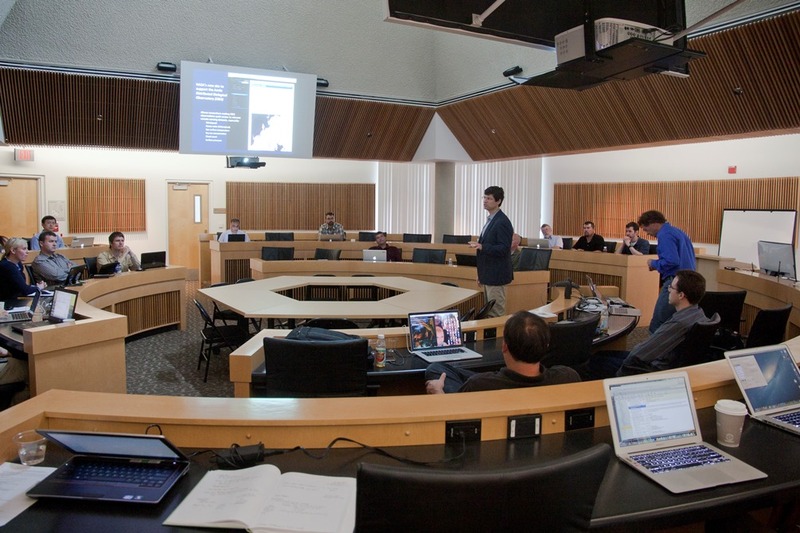 Meetings typically begin with a joint session of the land ice and sea ice teams. These sessions focus on items of interest to the entire team such as updates from NASA Headquarters. Later in the meeting the sea ice and land ice teams separate to discuss upcoming flight lines, opportunities for collaboration and the status of new and existing data products. 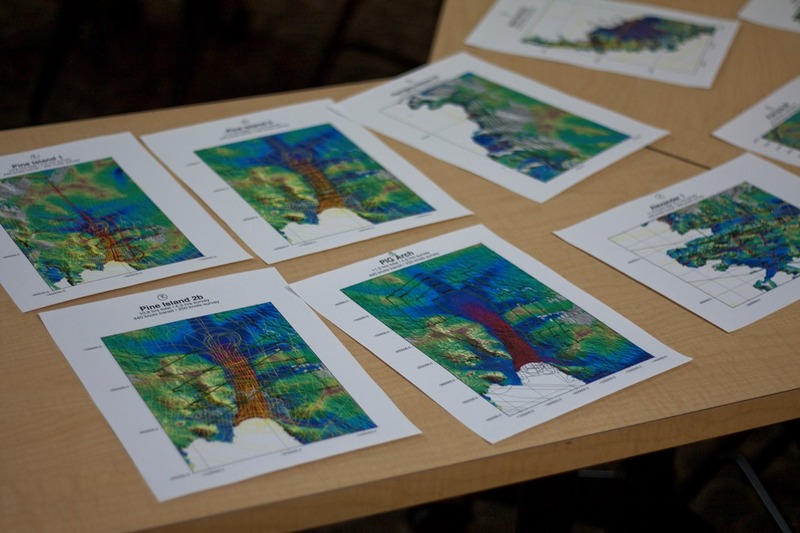 The above photo shows a meeting of the sea ice team. One of the major accomplishments in each IceBridge science team meeting is prioritizing the next campaign’s flight lines. Here we see printed copies of flight lines over different parts of Antarctica.